(사)국기원태권도9단연맹,홍성천 국기원 이사장 및 잔존 이사들 사퇴하라! 세상 모든 것은 완벽한 것이 없고 다 잘 할 수 있는 것은 아니다. 이런 한계를 극복하고 더욱 나은 미래를 위해 지양하는 것이 인류의 보편적 인식이다. 국기원도 예외는 아니다. 지금 지구촌 태권도인들의 자존심인 국기원이 크나큰 혼란의 극치를 맞고 있다. 지난해 연말 오현득 원장과 오대영 사무총장이 구속되었고 이에 이사들은 무한 책임을 느끼며 사퇴를 결의하고 황인정, 김성천, 황인식, 최재무 이사들은 사퇴를 했으나 후안무치란 인품 최하 극치의 굴욕적 호칭을 받으면서도 홍성천 이사장 및 김영태, 김철오, 김태일, 윤상호, 안병태, 홍일화 이사들은 각가지 꼼수(? )를 피며 그 사퇴약속을 지키지 않고 버티고 있다는 여론의 시각이다. 이런 국기원의 사태에 대해 많은 국내외 태권도단체와 태권도인들은 분노를 넘어 폭발 직전의 상태에 있다. 위와 같은 국기원의 형국 사태를 예의주시하던 사단법인 국기원 태권도9단 연맹(회장, 김경덕, 2003년 발족, 현재 공인 9단 290명 회원)은 본질적 해결책과 대안을 제시하며 다음과 같은 성명서를 발표하고 확고한 의지를 천명했다. ▲ ©지난해 9월 4일 무주 태권도원에서 개최한 태권도의 날 기념 행사에서 국기원 태권도9단 연맹 일부 회원들이 기념 촬영을 하고 있다. 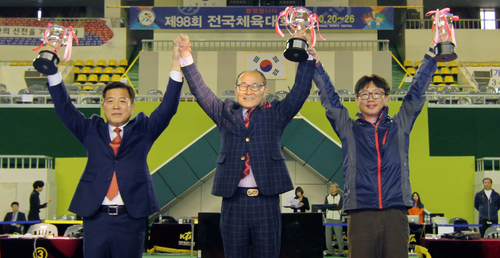 Kukkiwon 9th Dan Taekwondo Federation Corporation, Chairman Sung-Chon Hong and Remaining Directors of Kukkiwon Shall Take Responsibility Resign! Nothing in this world is perfect and no one can excel in every matter. Overcoming such limit and competing for better future are the common perception of the humanity. 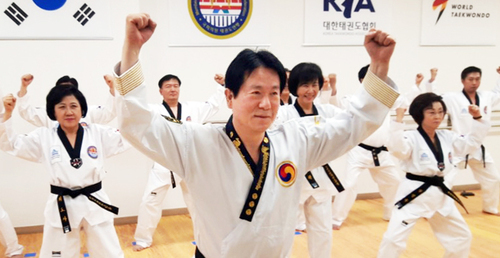 Kukkiwon is no exception to such common perception. Right now, Kukkiwon which is the pride of global taekwondo people is going through a huge chaos. In end of 2018, president hyun-deuk Oh and secretary general Dae-young Oh were arrested. Feeling unlimited liability toward such incident, directors decided on resignation and directors such as In-jung Hwang, Sung-chun Kim, In-sik Hwang, and Jae-mu Choi resigned. However, chairman Sung-Chon Hong criticized as shameless person, and other remaining directors such as Young-tae Kim, Chul-oh Kim, Tae-il Kim, Sang-ho Yun, Byeong-tae Ahn, and Il-hwa Hong are keeping their places under excuses. 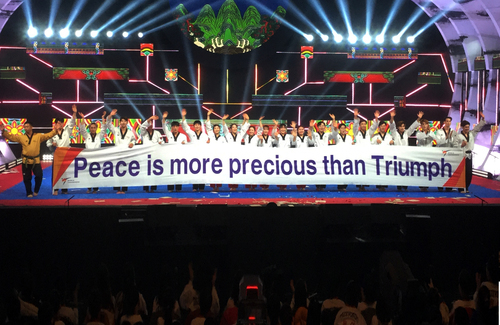 Domestic and overseas taekwondo organizations and taekwondo people are getting furious over the current situation of Kukkiwon. Kukkiwon 9th Dan Taekwondo Federation(Corporation, president, kyung-duk Kim, founded in 2003, 290 members with official 9th Dan) which was keeping an eye on such circumstance of Kukkiwon announced the following statement and clarified the firm will by suggesting the fundamental solutions and alternatives. Kukkiwon 9th Dan Taekwondo Federation Corporation feels deplorable to the recent imprisonment of director and secretary general who were in charge of the Kukkiwon World Taekwondo Headquarters and Kukkiwon Taekwondo Federation would like to ask whether Kukkiwon holds rights to act as representative Taekwondo institute and train taekwondo people. 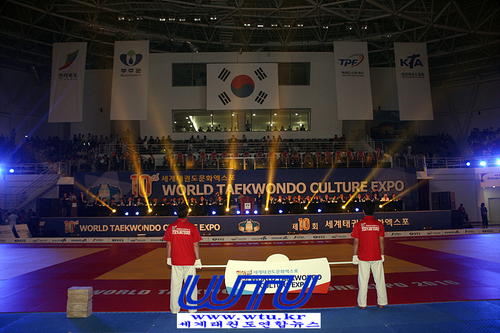 Also, Kukkiwon Taekwondo Federation deeply apologizes to the world taekwondo people in representation of Kukkiwon. In addition to inner issues such as employment scandal, donation split, and equipment supply scandal, the opacity of overseas dan promotion test which is the value of existence and root of identity of Kukkiwon will cause serious problems that cannot be ignored. Taekwondo is the cultural asset holding noble philosophy from our ancestors and it is the atrial arts of morals and humanity. 1. Considering the recent Kukkiwon incident, the political circles shall be liable for not regarding the Kukkiwon World Taekwondo Headquarters as the world organization and using the Kukkiwon as the political means by utilizing domestic law. 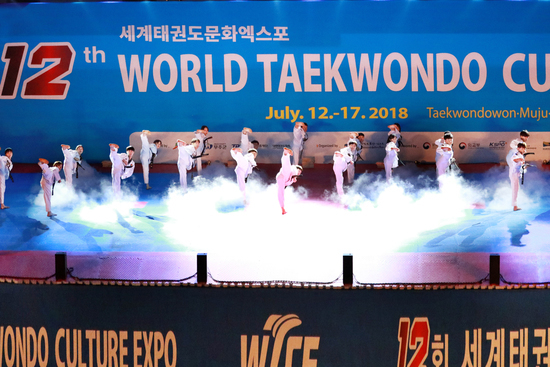 Thus, we request the government to take charge of policy for promoting taekwondo while leaving the operations and overall conditions for settling Kukkiwon as the world organization to the hands of world taekwondo people. 2. 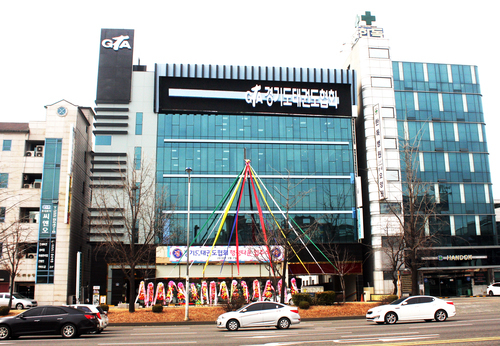 Many executives and workers of Kukkiwon made fractions, violated regulations by leaking various information, and played significant role in making the Kukkiwon today. Especially, the Kukkiwon Council has become a rubber stamp and lost its function. Therefore, we claim all executives including chairman to resign immediately. 3. To justify the struggle toward Kukkiwon, the people concerned to Kukkiwon should have focused on making the Kukkiwon to fulfill its role and duty instead of seeking personal advancement or private interests. Fight among the taekwondo people will only lead to decline of taekwondo. Therefore, we ask the taekwondo people to look back on themselves and prevent further negative perspectives from the world taekwondo people. 4. In henceforward, Kukkiwon shall abolish the wrong regulation where present director elects the candidate director and shall arrange the criteria for recommending or applying the director to enhance transparency. 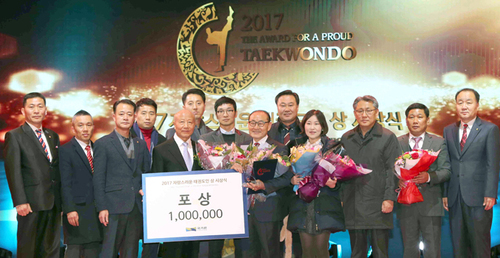 Also, Kukkiwon shall compose board of directors from overseas taekwondo countries that are member of World Taekwondo and faithful to dan promotion test, various taekwondo educations, and taekwondo contests and from 17 city councils. 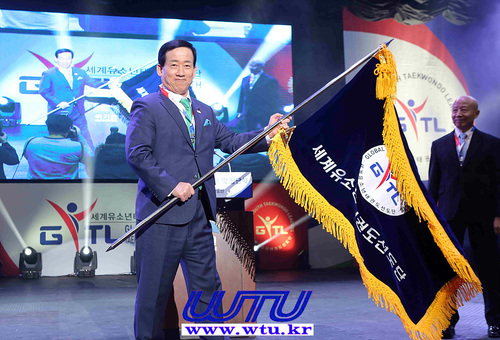 By selecting board of directors from overseas taekwondo member countries and 17 city councils, Kukkiwon shall seek operational maximization and become the true world organization. 5. For overseas dan promotion operation, Kukkiwon shall establish branch at each country and shall operate transparently and honestly. 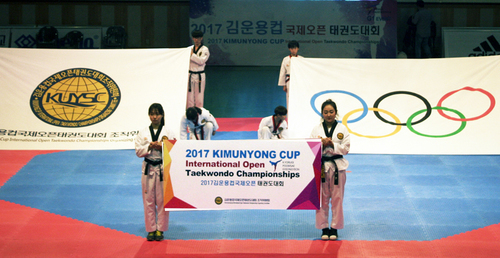 Also, Kukkiwon shall arrange measures for dan promotion applicants which take up only 15 % of overseas taekwondo trainees. In addition, Kukkiwon shall accelerate systematization and quantification and shall be aware that accumulation of overseas screening will result in accelerating issuance of own dan certificate in foreign countries. 6. Director and council members shall promote 9 dan holders who devoted their life to cultivating younger athletes and distributing taekwondo and shall contribute on shedding a new light on current identity of Kukkiwon which is having a negative view world widely. 7. Kukkiwon shall be aware that Republic of Korea is the liberal democratic country and shall abolish 1-person 1-taekwondo academy policy which is causing a lot of complaints. 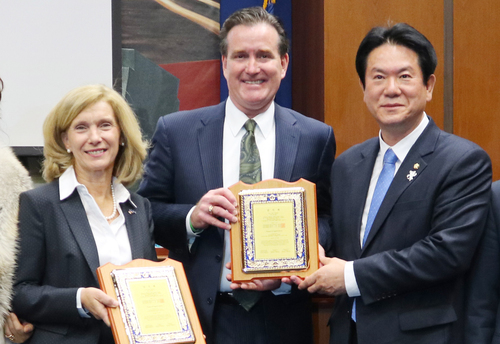 Furthermore, Kukkiwon shall allow one person to operate multiple taekwondo academies. 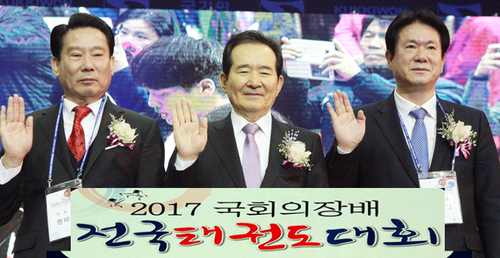 Our Kukkiwon Taekwondo Federation will keep an eye on future progress of Kukkiwon and we announce this statement to clarify that we will rise again when Kukkiwon progresses in the undesirable directions such as improper intervention of director or interference of specific fraction. January 17, 2019 Kukkiwon 9th Dan Taekwondo Federation Corporation.